I have been SO MIA lately! I’ve had a difficult time transitioning back into the classroom after summer vacation. I LOVE my kiddos this year, but have definitely struggled with balancing my job and blogging. I had been feeling very overwhelmed and down on myself for not having time for the blog, but when I took I step back, I realized how important it is to give myself grace. Transitioning back into working two jobs has been more difficult than usual this year, but I think I’ve finally come to the realization that it’s OKAY for me to take a step back and take a little time off to refocus. I am feeling refreshed and more than ready to return to my passion project, Twenties Girl Style! Please be patient with me as I continue to transition back into my schedule. I hope to start bringing you fresh content later this month! In the meantime, I have been posting to Instagram daily! Check out the top sellers for August! 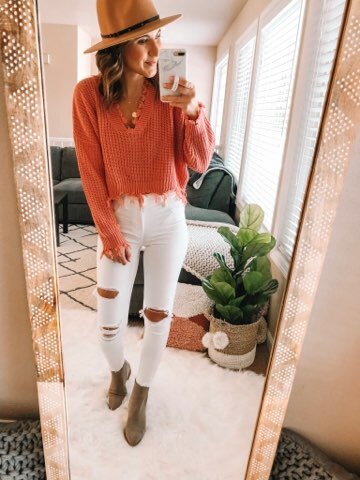 This twist back sweater is so flattering! 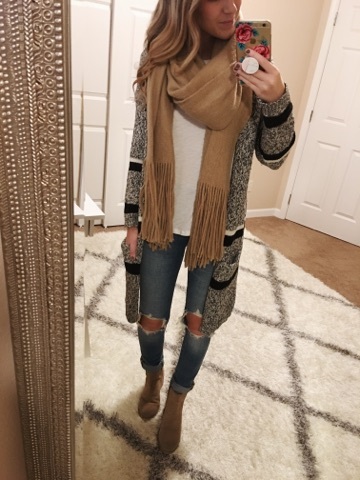 It’s a great way to show off a little skin in the colder months without showing too much! 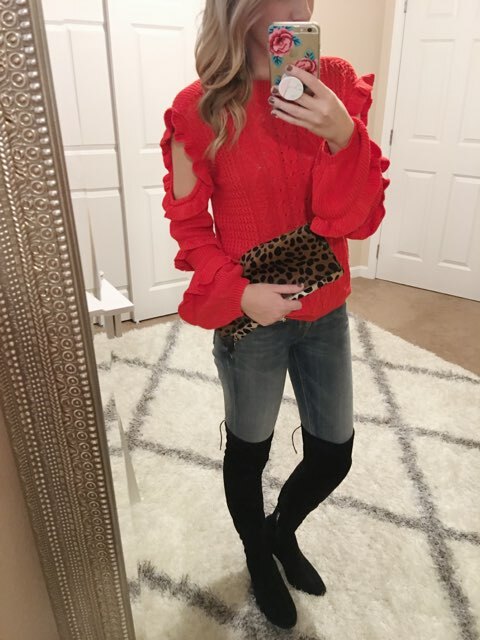 I think my favorite part about this sweater is the stripes! I love the color combo too!! These joggers are everything! From their gorgeous shade of pink to the sweet pearl cuff detailing. I love the feminine touch that the pearls add! 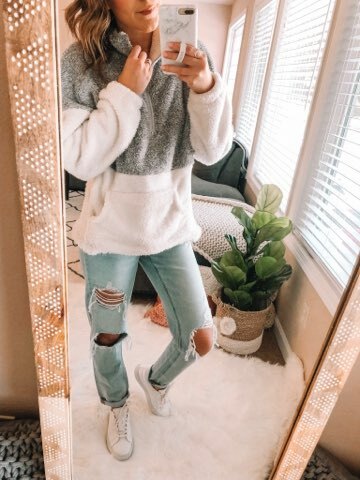 I also love the price tag…these cozy bottoms are only $32 and fully stocked! 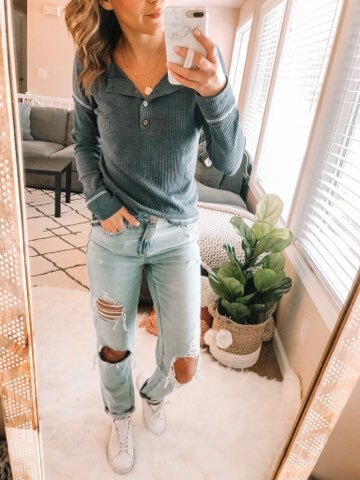 This henley is so good! 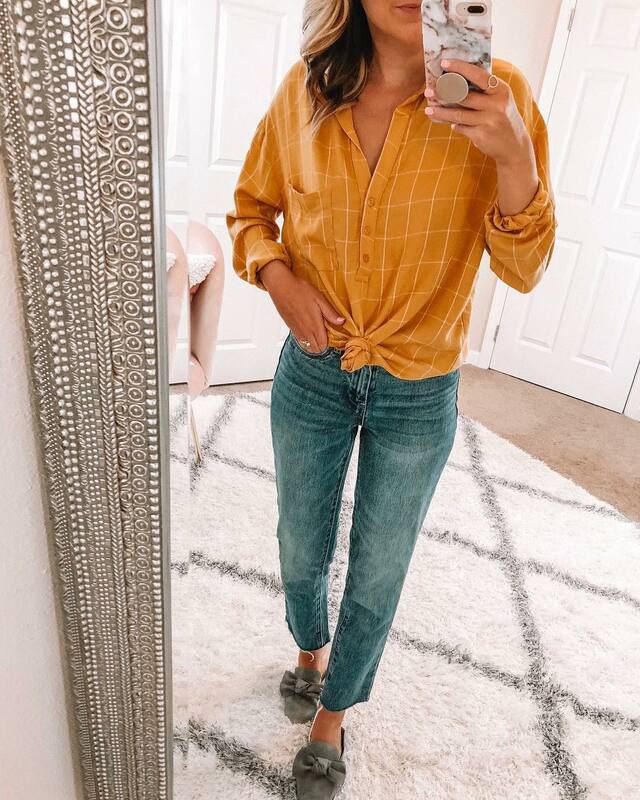 I’ve had a huge crush on all things yellow lately, so the moment I saw this top, I knew I needed it! I love tops like this for the classroom! They are so easy to wear and style to work, but can be transitioned to date night or the weekend! 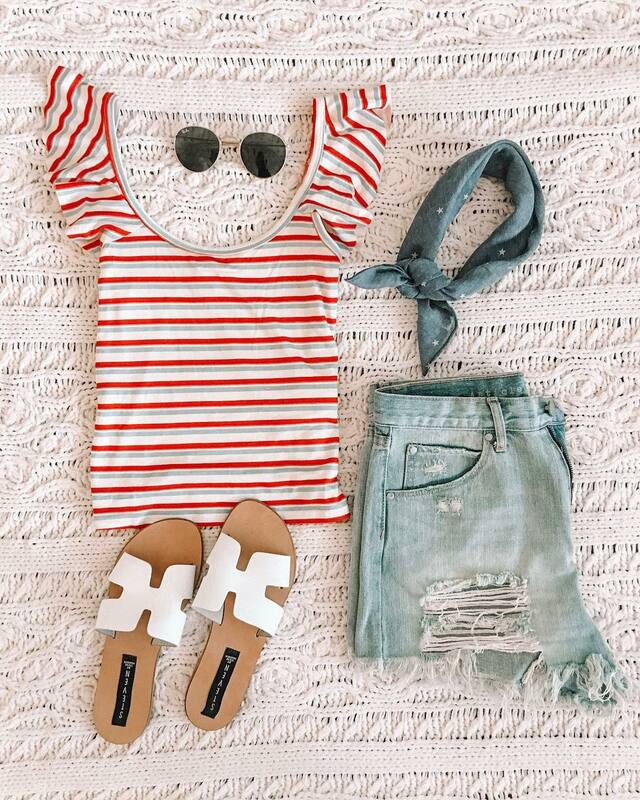 Snag it now on sale for just $30! 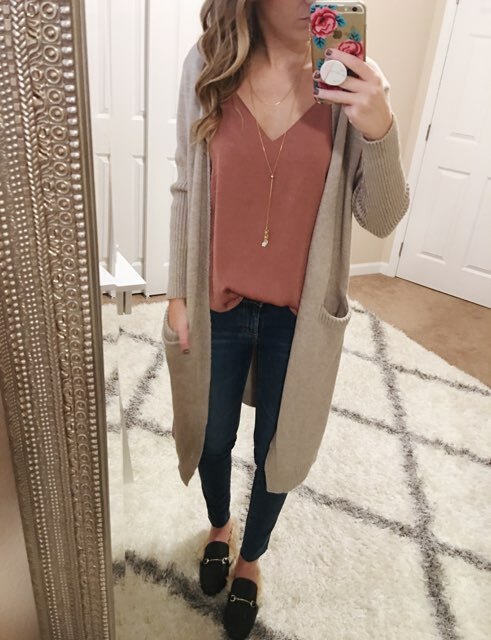 Another longer length cardi, I love this oatmeal colored option not just for it’s length, but also for the hood! 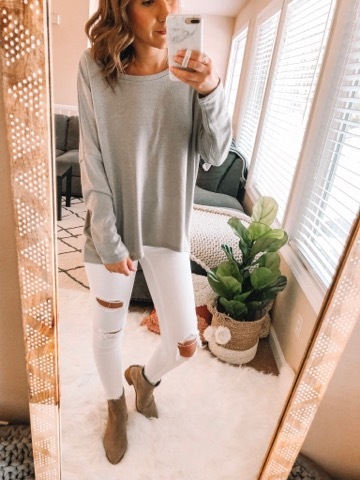 This comfy piece can be worn to work or for lounging around the house! Check out some cute loungewear options to pair it with here. 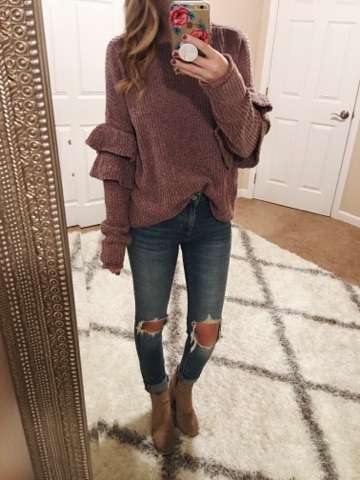 I love love LOVE this sweater! The color combo is absolute perfection. I can’t even imagine a more fun or perfect mix of colors! 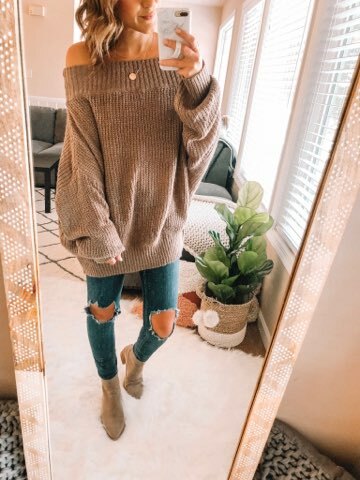 The one thing to note about this sweater is that it’s on the shorter size. 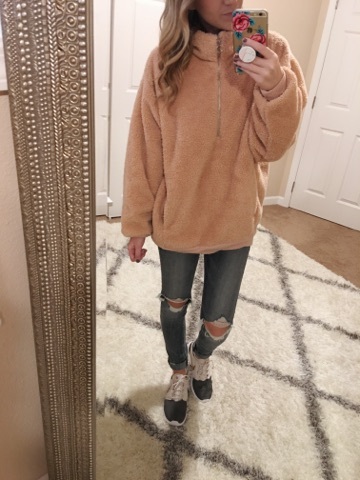 I’m wearing a US 4 and it fits perfectly, but if I re-ordered, I might have sized up for a more oversized fit! 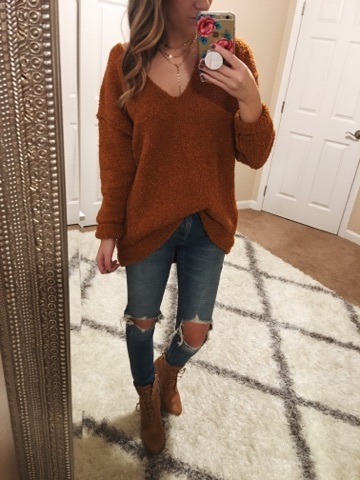 If your loving colorblocked sweaters as much as I am, check out some more options here. 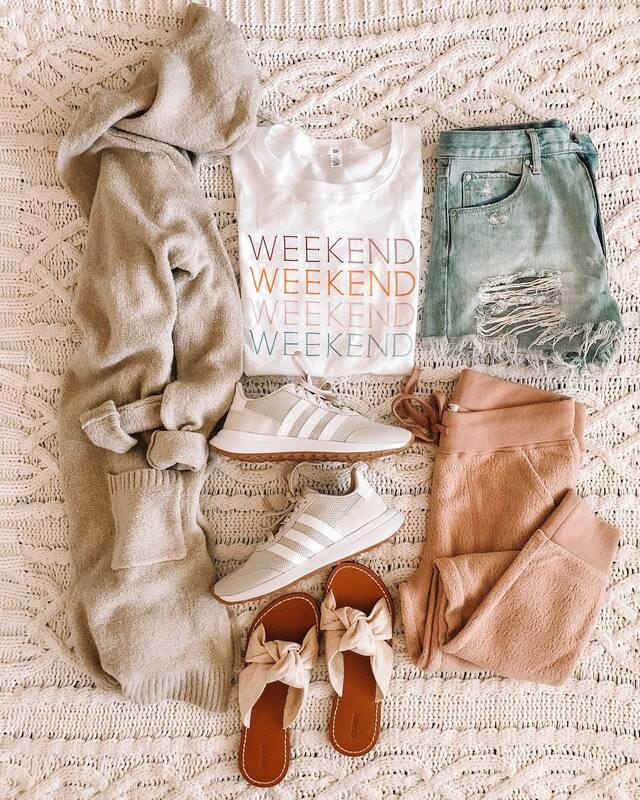 Comfy, neutral sneakers that you can wear to the gym or on the weekend! The best part about these? They are under $100! As a teacher, I also love wearing sneakers in the classroom on Fridays. These are PERFECT because 1. they are super comfortable and 2. they go with everything! 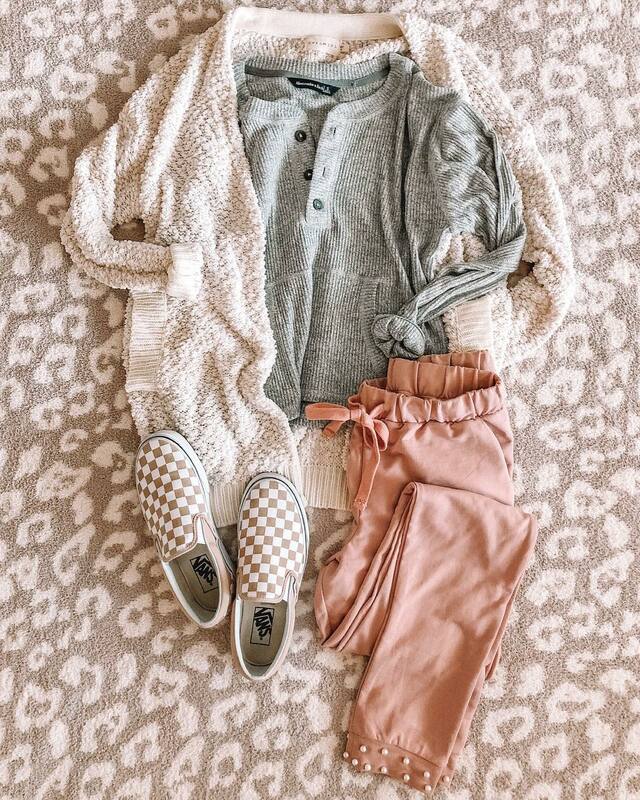 Who doesn’t love a cozy sweater to live in during the fall? I snagged this one the moment I saw it. 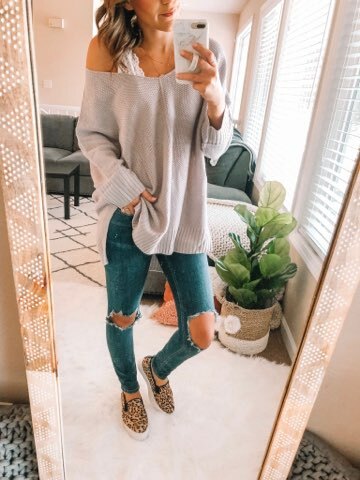 I’ve had a huge obsession with ribbed sweaters lately! 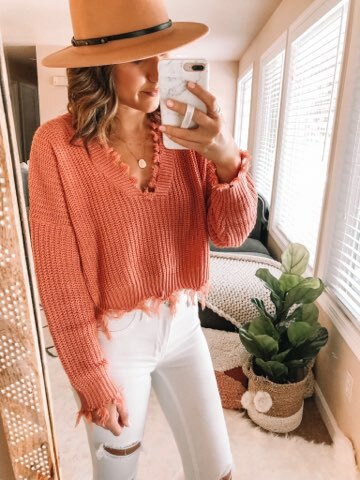 It looks like many of you are anticipating fall sweater weather just as much as I am because this sweater was so popular in August! I love it so much, I snagged it in two colors! 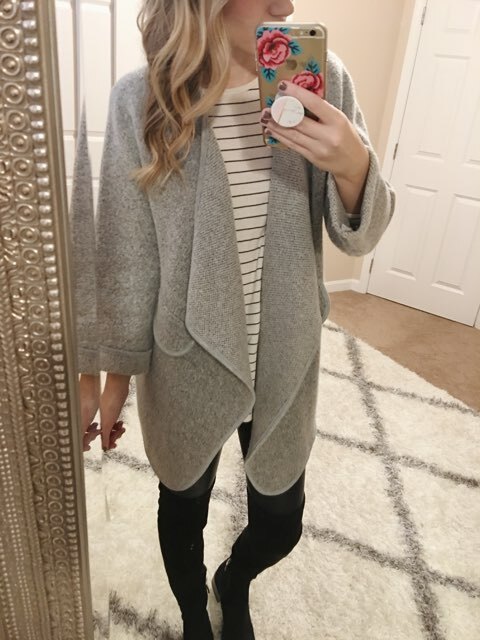 It is currently sold out, but you can check out some more long cardigan options here. 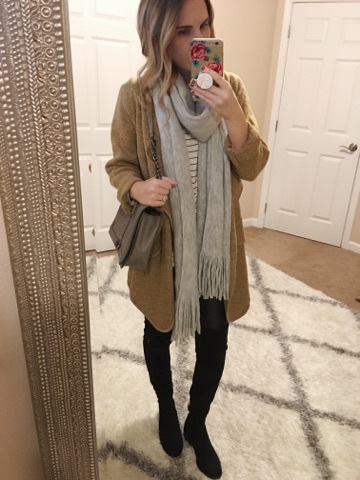 I love the longer length for colder weather! 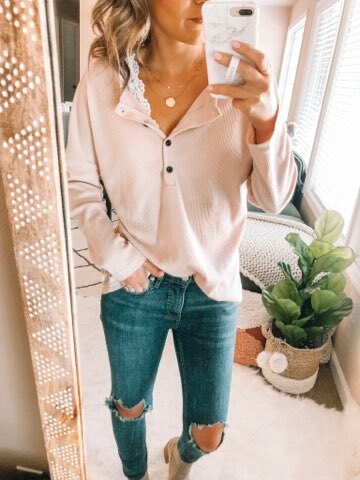 This sweater is only $20 and a dupe of a much pricier option. 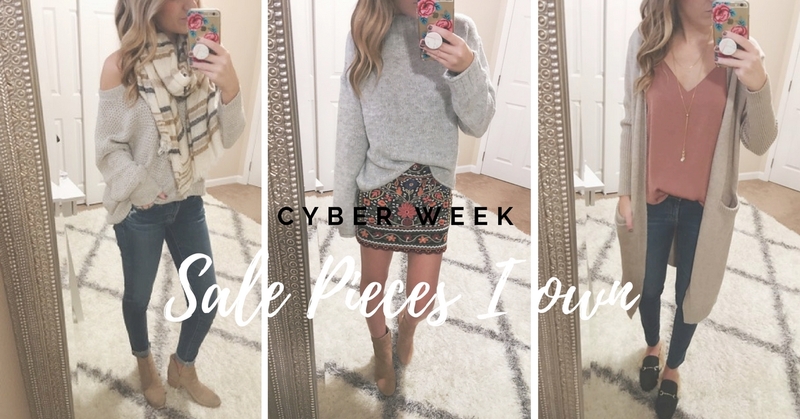 I love that you can get the look for less without breaking the bank! 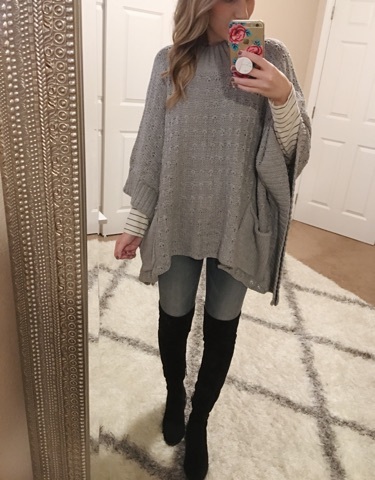 I ordered this one in a small and now want it in all four colors! 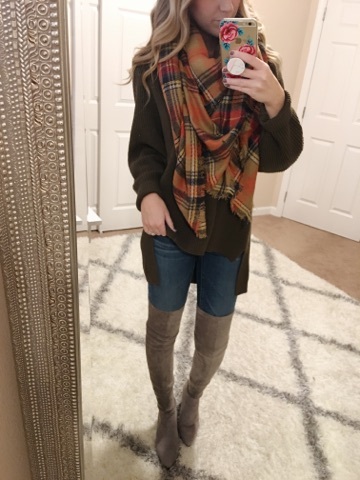 It’s the perfect piece for chilly fall days! 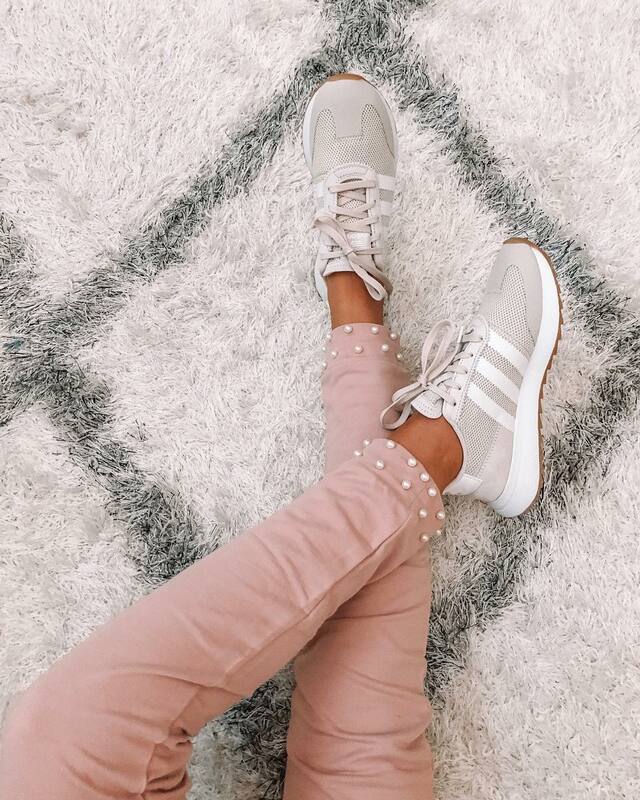 These joggers are the BEST…it’s no wonder they were so popular in August! 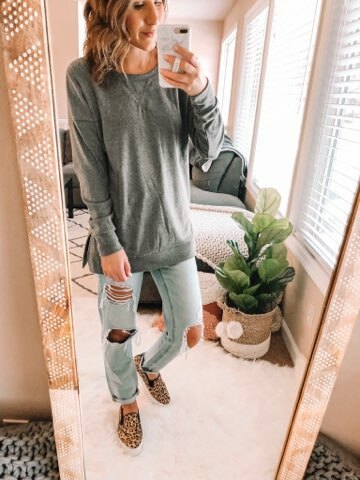 The come in pink and grey and are the perfect cozy pair to take into fall with you!